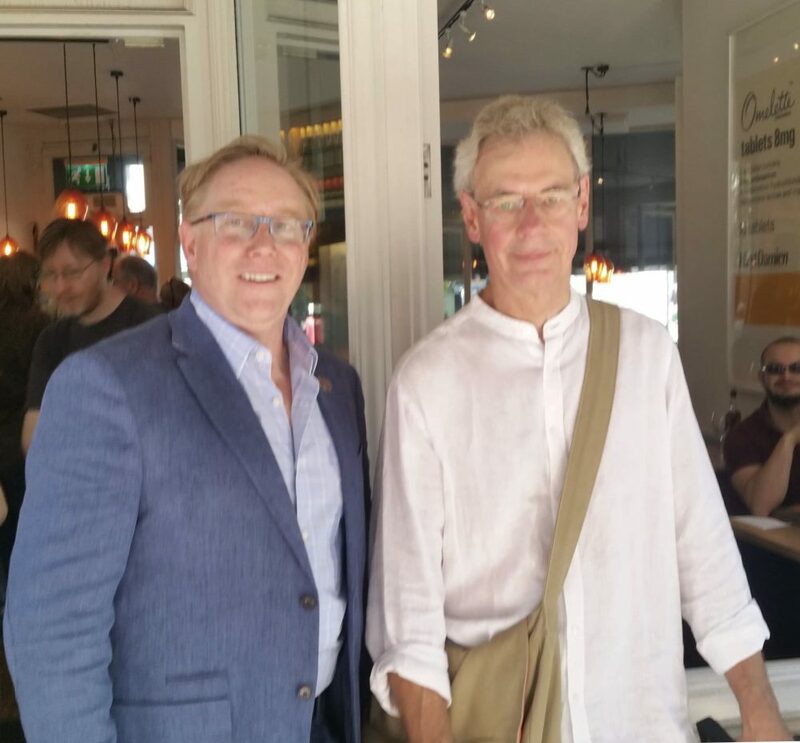 Bill Bruford attends ceremony celebrating band’s formation. 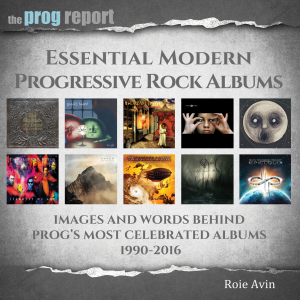 With celebratory shows and fan events in London in March and June, and in the USA in July, it would have been easy to let the actual 50th anniversary of Yes pass by… that is, if it wasn’t for Yes Superfan and author Dave Watkinson. With the UK fan event, Yes bus tours and a terrific exhibition already under his belt, he didn’t sit back satisfied to do his part. 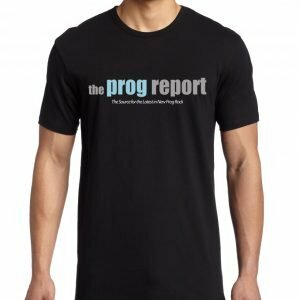 For some time Dave has been working on another project that would commemorate not the day on which Yes first performed in public and a significant location in their history. 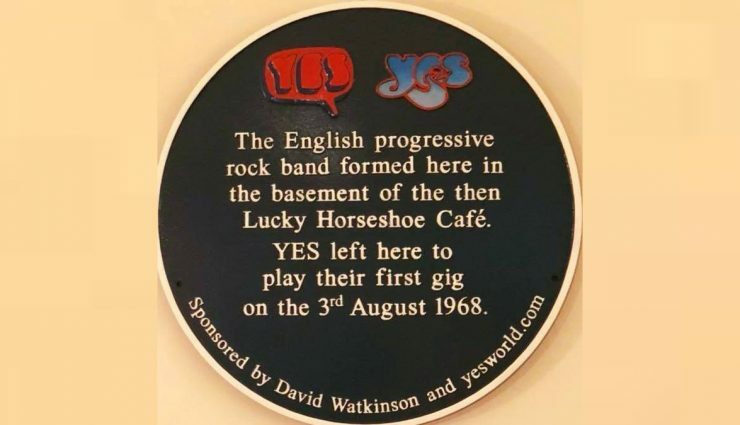 On 3 August 1968, the band left the basement room they had hired in the Lucky Horseshoe Cafe to make their live debut, at East Mersea Youth Camp. 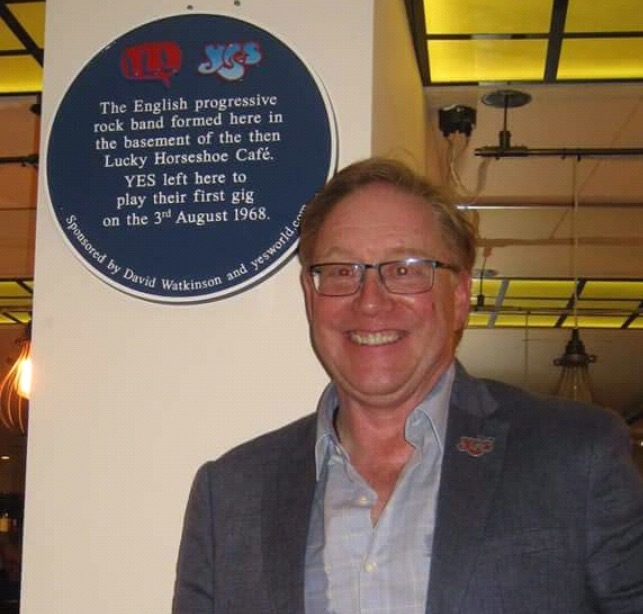 50 years to the day, Bill Bruford, the band’s drummer, unveiled a plaque sponsored by Yesworld.com and Mr Watkinson commemorating this event in the basement location, now called the Wildwood Cafe. A group of Yes experts, including Kevin Mulryne (Yes Music Podcast), Chris Welch (author of biography Close To The Edge) Henry Potts (alt.music.yes / Where Are They Now website) and Simon Barrow (author of Solid Mental Grace) joined members of Chris Squire’s family at the celebration and lunch in the cafe. Bruford gave a short speech, took questions and mingled with the fans – a great scoop to secure an original band member for this event! The world of Yes fandom online can be a friendly place but is also one where there can be differences of opinion and disagreement ( a bit like the band perhaps!) but, as a fan myself, reading about and jealously seeing photos and videos of the event, I would encourage you to take time today to listen to the 1968 debut album and rediscover the roots of the band that 50 years later is still going strong in a variety of versions, each one keeping the music alive. 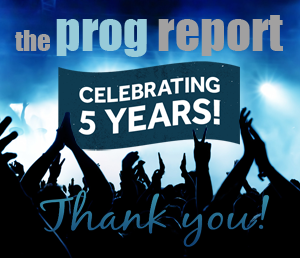 If that’s not enough, you can get another Yes-fix from an episode of The Prog Report’s Yes Years 50 shows (episodes 1-3 are available as podcasts) or one of our interviews with Jon Anderson, Geoff Downes or Trevor Rabin.